The difference between zombie movies and pandemic movies is subtle, but important. Danny Boyle's 28 Days Later? Pandemic. Dawn of the Dead? Zombie movie. The latest in the former category is Patient Zero, which finds Stanley Tucci, Matt Smith, Natalie Dormer, and others trying to survive a pandemic that has turned its victims into rabies-fueled savages. So yeah, it's very 28 Days Later. 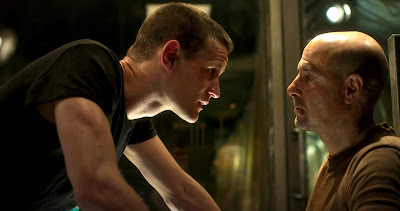 Patient Zero hits theaters on September 14th, preceded by a digital release on August 14th.